Pop in for a night or two! 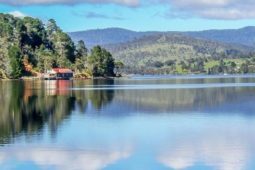 Nestled in the tranquil Huon Valley, Graces View is just 45 minutes from Hobart and boasts spectacular views of the Huon River and Hartz Mountains. Graces View is the perfect place to relax and unwind. Your private studio room has been designed to take full advantage of the expansive view. Find bliss out on the peaceful outdoor deck that brings you closer to the sights, sounds and smells of this beautiful rural setting. Stylishly furnished with luxury touches throughout, ‘your room with a view’ is a little piece of serenity in a valley of beauty. 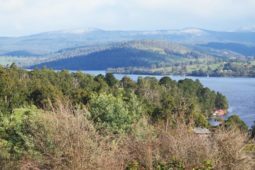 When you have settled in, Graces View is also the ideal base to explore the many offerings of the Huon Valley and surrounds. 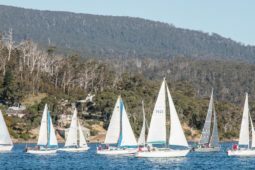 There are plenty of fantastic cafes, galleries, restaurants, markets and wineries closeby as well as the natural wonders of Bruny Island and Tahune Forest. Stay with us for a night or two, or allow yourself the luxury of even more time to relax and discover the Huon Valley and beyond. The studio room has facilities for a maximum of 2 guests only. 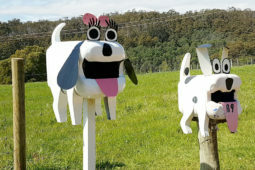 Aaron and I are enjoying the lifestyle and friendly community here in the scenic Huon Valley, Tasmania. We have a passion for travel and love meeting other wanderlusters. Holidays are a special time to take a break, and we aim to create special memories of your stay here at Graces View. From our travels we have embraced the things we have enjoyed and added them to our BnB. It is the simple thoughtful touches that people have commented on… and they have called us ‘memory makers’. It is such a pleasure to create a place where people can relax and unwind, and simply take in the view. I have a ceramic studio on the property … feel free to ask me about a mini ceramic lesson during your stay. We are happy to help with any questions, and can recommend local eateries and attractions and provide a range of brochures to help you plan your stay. We respect your privacy and are happy to be available at your request. Beautiful accommodation with possibly the best view in Tasmania! We were made to feel so welcome. We couldn't fault a thing. Aaron and Freda, thank you for such a wonderful visit! We'll be back!